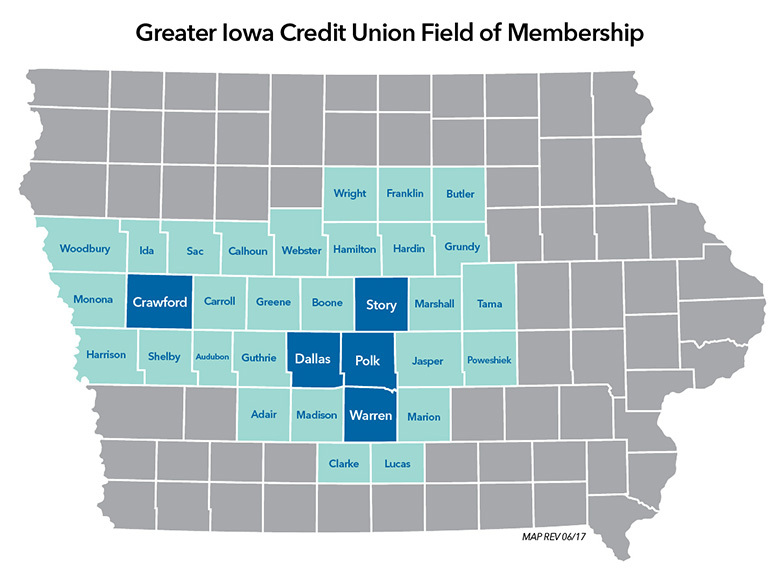 If you're ready to be a part of something greater, join Greater Iowa Credit Union! To qualify for membership, you have to live, work, go to school or worship in one of our 33 Iowa county area or meet one of our criteria as defined by our field of membership. A savings deposit of $5.00 will establish your membership at Greater Iowa. To open an account, visit one of our conveniently located branches today!